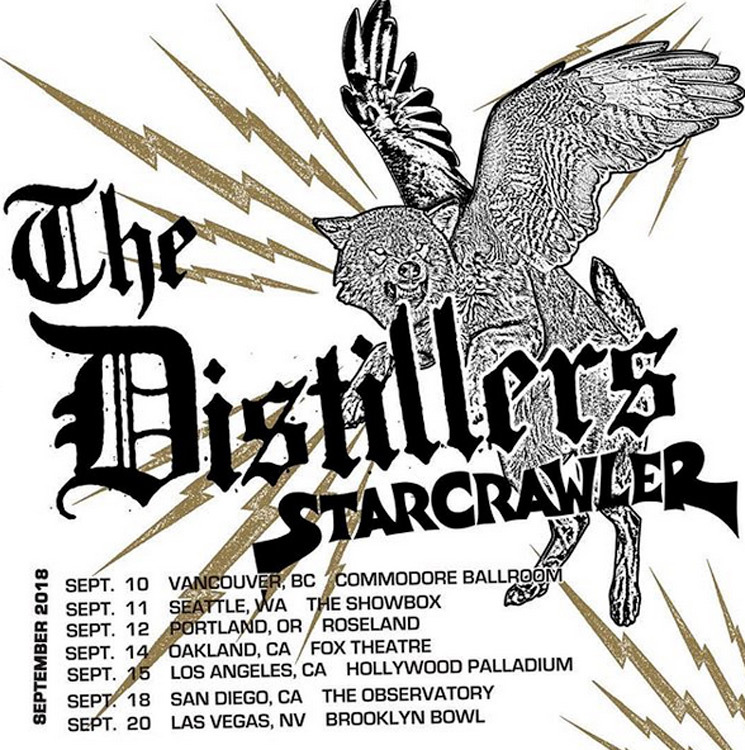 Following an initial run of U.S. reunion shows, the Distillers have announced a brand new stretch of comeback concerts, including one here in Canada. Brody Dalle and co. made the announcement today, confirming the reunited band will be kicking off a new round of North American tour dates in September. The trek will launch in Vancouver with a show on September 10 at the Commodore. Other new dates include Seattle, Portland, L.A. and more. Starcrawler will serve as the opener on all stops, and tickets for the Vancouver show go on sale Friday (June 1) at 10 a.m. PDT. You can see the newly announced schedule below. In addition to the announcement, the Distillers shared some live footage from their first tour in over a decade via their Twitter. You can check that out below as well.